For Clinic inquires or contact info, please visit the clinic website. We get questions from our community from time-to-time, so here is a list of FAQs for your convenience. Question not here? Use the form above and we’ll respond as quickly as possible. Absolutely, we have tours the first Friday of every month. See our events calendar for specific days. Are you a school, hospital, or pharmacy? We are none of those! 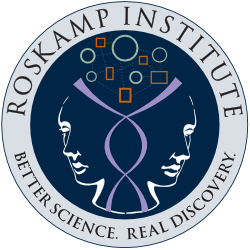 The Roskamp Institute is a non-profit research facility specializing in diseases of the mind. We do have a seperate onsite neurology clinic where applications of our research are put to use and is open to the general public. How do I donate to the Institute? Thank you for your consideration! Visit our Donate page and follow the instructions or contact us for assistance. Where do I submit press inquiries? For all press inquiries, you may use the form or email address listed above.